Her early research concerned social and environmental movements in Germany and Nicaragua. 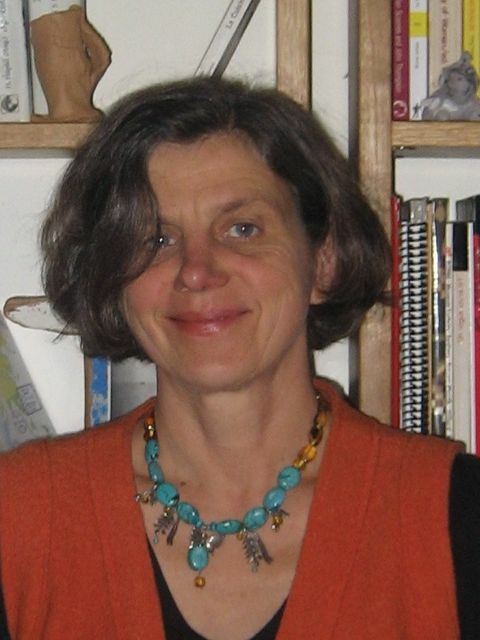 Since 1990, her research has focused on questions of power, ideology and economic change in post-socialist Eastern Europe, in particular East Germany and the Czech Republic. She has written about the informal functioning of the planned economy, mechanisms of ideological control under socialism, state-organised privatisation of state owned enterprises, post-socialist labour struggles, grass-roots democratisation and environmental mobilisations in post-socialist countries. She published Disenchantment with Market Economics. East Germans and Western Capitalism (Berghahn Books 2006). Her current research explores global governmentality of food and agriculture at the FAO and local practices of food producers in Canada and Nicaragua. She examines links between agricultural practice, political worldviews and structures of power and how these shape and are shaped by global agricultural policies. La Bataille des OGM. Combat vital ou d’arrière-garde, Paris, Editions ellipses, Collection transversal débat 2008. Toward an Alternative Culture of Work. Political Idealism and Economic Practices in West Berlin Collective Enterprises, Boulder, Westview Press, 1991. Focaal. European Journal of Anthropology, numéro thématique « GMOs - Global objects of contention », automne 2006. Focaal. European Journal of Anthropology, en collaboration avec C. Neveu, numéro thématique « Mobilising Institutions — Institutionalizing Movements », n° 40, 2002. Power and Institutional Change in Postcommunist Eastern Europe, Canterbury, CSA, 1998. Anthropologie der Wende. Kontroversen über die deutsche Vereinigung en collaboration avec E. Terray et V. von Wroblewsky, Cahiers du Centre Marc Bloch, n° 5, mai 1997. « A la recherche des certitudes perdues... Anthropologie du travail et des affaires dans une Europe en mutation », Cahiers du Centre Marc Bloch, n° 4, août 1996. Alltag in Jablonec 1994. Vom "Neusiedlergrenzland" zur Euroregion, en collaboration avec Z. Uherek, Wien, IFK Materialien, 1996. « World View, Political Behaviour and Economy in the Post Communist Transition », en collaboration avec C. Giordano et I. Greverus, Anthropological Journal on European Cultures, vol. 2, n° 1 et 2, 1993. « Détenir les codes de la nature : droits de propriété intellectuelle ou bien commun. », In: Ouvrage collectif La propriété intellectuelle contre la biodiversité ? Géopolitique de la diversité biologique. PubliCetim No 35, Genève: CETIM, mars 2011. 224 p.
« Review. Food for the Few. Neoliberal Globalism and Biotechnology in Latin America», edited by Gerardo Otero. Austin: University of Texas Press, 2008" In: Journal of Peasant Studies, 2009 Volume 36 Issue 2. « La loi du marché comme idéologie. Les agriculteurs du Saskatchewan face au système économique néo-libéral », Cahiers du GEMDEV. Mesure de la mondialisation sous la direction de Irène Bellier, cahier 31, mars 2007 p. 52-65. « On the Ownership of Nature », in G. Laxer et D. Soron (dirs. ), Not for Sale: De-commodifying Public Life, Calgary, Broadview Press, 2006. « Introduction: GMOs - Global Objects of Contention », Focaal. European Journal of Anthropology, n° 48, automne 2006. « The Misgivings of Democracy: Personal Resentment and Alternating Power in a Czech Village », in M. Svasek (dir. ), Postsocialism. Politics and Emotions in Central and Eastern Europe, New York, Berghahn Books, 2006. « UPOV 1991 – contrôle des semences et politique sous influence », Nature et Progrès, n° 59, septembre-octobre 2006. « Productivity and the Person. From Socialist Competition to Capitalist Mission », in A. Procoli (dir. ), Workers and narratives of survival in Europe. The management of precariousness at the end of XXth century, New York, SUNY Press, 2004. « Produktivität und Identität : Vom sozialistischen Wettbewerb zur kapitalistischen Mission gen Osten », in J. Moser et S. Hess, Sabine (dirs. ), Kultur der Arbeit – Kultur der neuen Ökonomie ; Kulturwissenschaftliche Beiträge zu neoliberalen Arbeits- und Lebenswelten, Graz, Kuckuck, 2003. « Power and the Normalization of Discipline in three East Berlin Enterprises », in K. McRobbie et L.K. Polanyi (dirs. ), Karl Polanyi in Vienna. The Contemporary Significance of The Great Transformation, Montréal, Black Rose Books, 1999. « Adaptation and Distinction : the Management Politics of two East German Production Managers in a Multinational Combine », in B. Müller (dir. ), Power and Institutional Change in Post-communist Eastern Europe, Canterbury, CSA, 1998. « Sozialismus als Performance : Die Repräsentation des Politischen im volkseigenen Betrieb », in A. Pribersky (dir. ), Unfried Bertholdt Symbole und Rituale des Politischen, Vienne, Peter Lang Verlag, 1998. « Kultura a moc: Prumyslovy podnik po sjednoceni Nemecka », Cesky Lid, Vol. 85, n° 3, 1998. « Culture, pouvoir et l’unification allemande dans l’entreprise », in M. Abélès et H.P. Jeudy (dirs. ), Anthropologie du politique, Paris, Armand Colin, Collection U, 1997. « The Wall in the Heads : East-West German Stereotypes and the Problems of Transition in three Enterprises in East Berlin », in M. Mendell et K. Nielsen (dirs. ), Europe : Central and East, Montréal, Black Rose Books, 1995. « Nous qui avons su ferrer une puce... : Productivité et profit dans une Joint Venture moscovite », en collaboration avec E. Mechtcherkina, K. Levinson, I. Cribier, A. Onikienko, Les Temps Modernes, n° 579, décembre 1994, pp. 124-155. « Macht und Disziplin auf dem Weg vom Plan zum Markt : Belegschaftsinteressen und Managementstrategien in ostberliner Industriebetrieben 1990-1993 », Historische Anthropologie, Vol. 2, n° 1, 1994. « Book review : The Culture of Flowers by Jack Goody », Social Anthropology, Vol. 2, n° 3, octobre 1994. « Le mur dans la tête. Les stéréotypes interallemands et les problèmes de transition dans trois anciennes entreprises du peuple à Berlin Est », Les temps modernes, Année 49, n° 560, janvier 1993. « Pouvoir et discipline, du monde du plan à celui du marché », Cahiers internationaux de Sociologie, Vol. XCV, 1993. « Der Mythos vom faulen ´Ossi`: Deutsch-deutsche Vorurteile und die Erfahrungen mit der Marktwirtschaft in drei Betrieben in Ostberlin », PROKLA Zeitschrift für kritische Sozialwissenschaften, Vol. 91, 23, n° 2, 1993. « Vom Kollektivmitglied zum "neuen Menschen" in der Marktwirtschaft: Weltsichten und wirtschaftliches Handeln in drei ehemals volkseigenen Betrieben in Ostberlin », in S. Helmers (dir. ), Ethnologie der Arbeitswelt, Mundus Reihe Ethnologie, Band 67, Bonn, Holos Verlag, 1993. « The Wall in the Heads: East West German Stereotypes and the Problems of Transition in three Enterprises in East Berlin », in B. Müller, C. Giordano et I. Greverus (dirs. ), « World View, Political Behaviour and Economy in the Post Communist Transition », Anthropological Journal on European Cultures, vol. 2, n° 1, 1992. « De la folie du marché à la fin des illusions », Liber. Supplément aux actes de la recherche en sciences sociales, n° 91-92, 1992, pp. 14 – 15. « James Scott et le discours caché des dominés », Bulletin de l´APAD, n° 3, septembre 1992. « De la compétition socialiste à la libre concurrence: la privatisation de trois entreprises (VEB) de Berlin-Est », Allemagne aujourd’hui, n° 121, juillet-Septembre 1991. « Einbruch der Marktwirtschaft in die Alltäglichkeit von zwei Betrieben in der ehemaligen DDR », Sozialanthropologische Arbeitspapiere, n° 37, 1991. « Campesinos und Sandinisten: Fallstudie in enem Dorf in Nicaragua », in D. Dirmoser (dir. ), Verlierer der Weltwirtschaft, Hamburg, Junius Verlag, 1989. Cooperativismo y autoabastecimiento: el caso de los Potrerillos, Rapport pour le département d’économie agricole, UNAN, Managua, 1987. The comparative study, including two EU members, one associated and several applicant countries, completed by cross-country problem-oriented case studies, is based on a qualitative, trans-disciplinary social science approach, combining analytical skills from the fields of contemporary anthropology, political science and history of ideas. The research project aims to reconstruct the cultural patterns of identity constructions on a local/regional, national and European level since "1989/90" , used as frames for political orientation by various actors of the enlargement process. Special attention is drawn to these fields of political discourse and policy making, which are perceived through conflicting representations on the said levels and as a potential danger posed by or to the enlargement process. - PRATO Pratiques, travail, organisation, interdisciplinary research group Groupe at the Centre des études historiques, EHESS. This research group explores how to study practices of work, of enterprise and of administration by exploring the qualitative research methods that different social sciences developed for analyzing organized and spontaneous action. the group is interdisciplinary (history, sociology, administrative sciences, economy, anthropology).